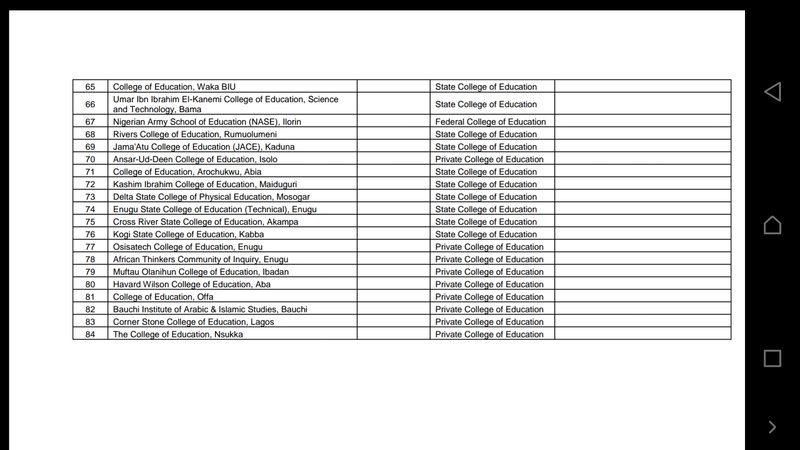 The 2017 Ranking of Nigerian Colleges of Education is released today by The Nigerian Archive (http://www.nigeriarchive.com/). 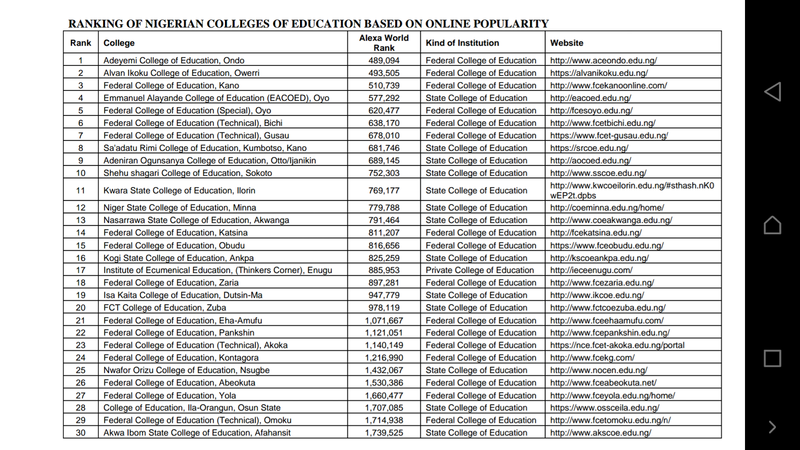 In total, 84 Colleges of Education were ranked based on online popularity. 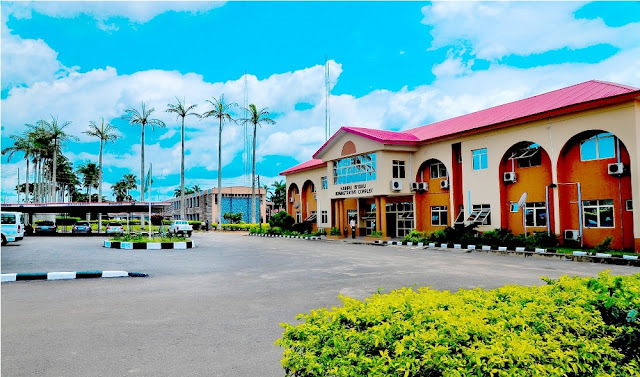 Adeniran Ogunsanya College of Education, Otto/Ijanikin (9, 689,145) and Shehu Shagari College of Education, Sokoto (10, 752,303). 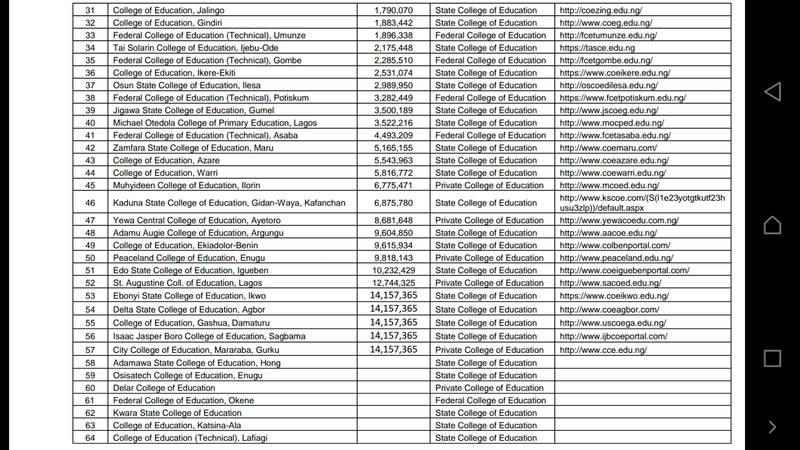 The Nigerian Archive uses Alexa Traffic Rank (www.alexa.com/siteinfo) to rank the 84 Colleges of Education.